Trot on Out to the Kentucky Quarter Horse Show | Louisville, Kentucky | Joe Hayden Real Estate Team - Your Real Estate Experts! It is time to get familiar with the other horse Kentucky is known for, the Quarter Horse. 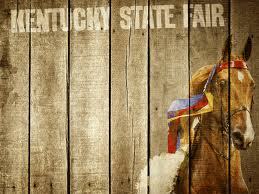 The Kentucky Exposition Center is kicking off the Kentucky State Fair Quarter Horse Show on August 6th. This event will be continuing until August 11th as the competitions flow. These majestic horses are a sight to behold as they trot about the ring, do tricks and compete in events. You can be assured that their manes and tails will be hanging like silk, as they receive plenty of love and grooming prior to these events. Quarter Horses are just as pampered as the Thoroughbreds of the Derby, but not quite as publicized. To make things even better, this event is free and open to the general public. Most children are fascinated by horses, so this gives them a different way to experience them. The schedule is entertaining, as this is a Western-style show with some very traditional types of competition. Some of the events include competition in performance, halter, reining, cutting, team penning, roping, Western pleasure, rescue race, flag race, barrels racing, poles, and hunter under saddle. 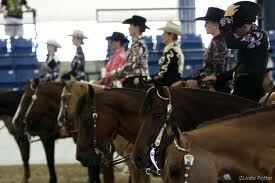 If you and the family have never been to a horse show, now is the time to start. You can even don that cowboy hat that’s been gathering dust in the closet, as it would fit right in. Consider taking a trot to the Kentucky Quarter Horse Show. To learn more about other great events in the area, please visit Homes for Sale in Louisville.